There are certain perfect situations I can think of in life – those specific places or times or feelings you wish you could recapture. One of mine involves an early June evening, when it’s still light out at nine o’clock, the air is warm, and you somehow feel inspired. If you are lucky enough to have a perfect night like this, try pairing it with a bottle of Pepperwood Grove Chardonnay and Coldplay’s third album, “X&Y” (Capitol Records, 2004), and life can’t get much better. “X&Y” is widely regarded as the best of the band’s three studio albums. 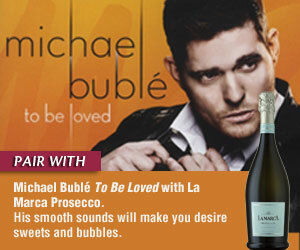 To me, it speaks of possibility and hope, the ideal sentiments for one of my previously mentioned ‘perfect’ evenings. 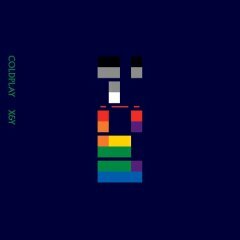 Like the slow growth process of the chardonnay grape, the album took a staggering eighteen months to perfect before Coldplay was ready to release it. In fact, they nearly scrapped the project altogether. “We pushed ourselves as hard as we could go,” says guitarist Jonny Buckland. “We weren’t willing to put it out until it was right.” The result is an album of carefully crafted songs that are each distinctly different, and yet provide symmetry to the sound of the project. The aptly titled “Square One” is the first track, and slowly draws you in until Jonny’s guitar kicks out the chorus. The current single, “Talk,” is a surprising flashback to German electro pioneers, Kraftwerk. And one of the most memorable songs is the enchanting title track, “X&Y.” In this song, as well as on the rest of the album, Chris Martin’s Anglo-shamanistic chanting captures the angst and voice of this generation better than any other. Now, the wine: Don Sebastiani & Sons acquired Pepperwood Grove in the spring of 2001, with the idea of producing a line of quality wines for a great price. The name was inspired by the beautiful swirls of the Bristle Cone tree, native to the White-Inyo Mountain range in California. 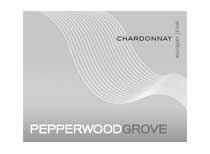 Blending grapes from the Northern Interior Valley and Mendocino, Pepperwood Grove Chardonnay shares the same complexity as this unique tree, ranging in fruit flavors from tangerine to peach. It will complement your mahi mahi, sushi, and grilled pork chop dishes the best. 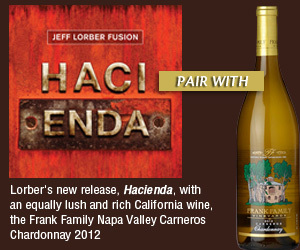 But the most memorable, most stimulating experience of the chardonnay is its sweet honeysuckle finish, which compares to no other wine that I have tasted in this price range ($8.99 Cost Plus World Market). Coldplay’s music is as intense, as rare as the flavors of Pepperwood Grove Chardonnay. The next time you are in for a perfect night alone, are having the friends over, or have scored tickets to see Coldplay at the Hollywood Bowl (preferable), do not forget to enjoy a bottle of Pepperwood Grove Chardonnay with Coldplay’s album, “X&Y.” It will be an inspirational night to remember.